for the environment and natural world. 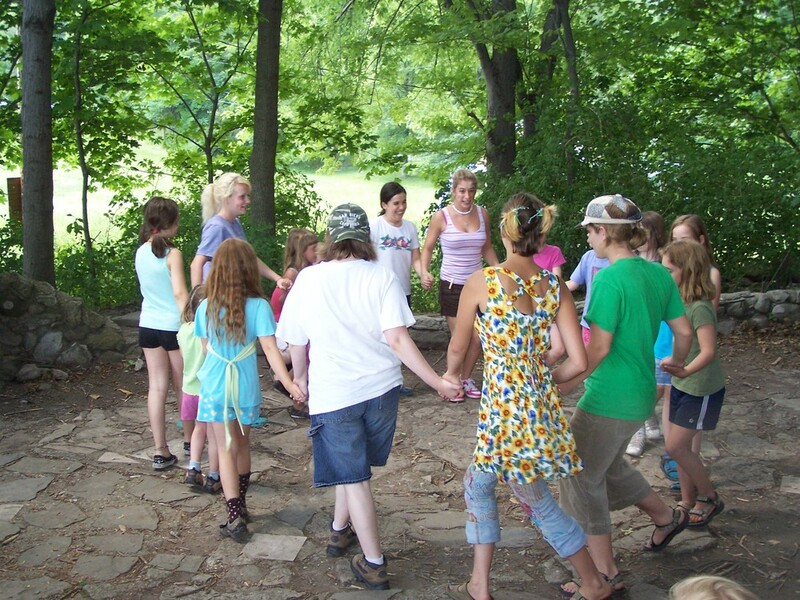 Camp Nurtures Balanced Confident, Sensitive Children With A Deep Awareness Of Our Connection To Nature. Through Hands-On Experiences, Children Ages 4 - 15 Are Encouraged To Explore The Earth And All Her Treasures. The camp’s location on the working historic Keziahlain farm offers campers the opportunity to observe and participate in gardening, farm animal care and the seasonal activities that are the focus of life on the organic farm. and confident in the natural world. Campers choose many of the day's activities. Campers have opportunities to select the activities they want to participate in. Kate Fox leads the Camp Community, and designs the program. She focuses on unique, healthy, cooperative, inclusive, fun activities. She brings to Free Spirit many years experience in children’s recreational and enrichment programming, and has directed summer camp and after school programs for numerous Youth Service organizations, such as the YMCA and Boys & Girls Clubs. She is currently the Director of The Birch School, an independent progressive program for students offering individualized learning programs and nature-based educational alternatives. She also works with Watershed Learning Center, Environmental Education consultants to community and civic groups, schools and government. She recently earned a M.A. in Environmental Conservation Education from NYU. This is her seventeenth season at Camp. Ellyce Cavanaugh founded camp in 1989, and for 12 seasons led a program that encouraged children to create an unforgettable relationship with the natural world. Her vision carries on as camp enters its 23rd season! Ellyce's daughter Sara now a professional Outdoor Educator, participates in directing and supervising camp as Assistant Camp Director. Free Spirit Nature Camp is inspected and permitted by the Orange County Department of Health. Copies of inspections are on file at 124 Main Street, Goshen, NY 10924. Camp is conveniently located near Westtown, Warwick, Pine Island, New Hampton, Slate Hill, Middletown, Goshen, Sussex, Highland Lakes, Minisink, Port Jervis, Greenville, Vernon.